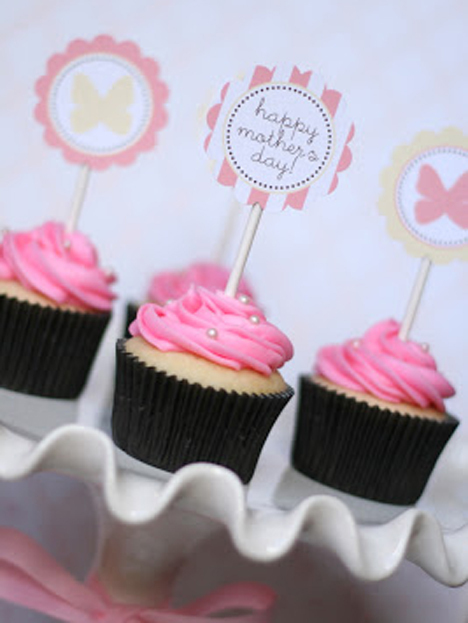 Since moms love brunch or dinner just as much as flowers, wouldn’t it be great to dress up some cupcake or quickbread-cake treats with some circle labels? Such a quick and simple add on, but it really shows you care. Easy and free printouts at thetomkatstudio.com. Don’t you just love the warmth of these gift tags? These are easy to print out, punch, and add to flowers. You can even write a little note on the back to bump up the DIY effort. 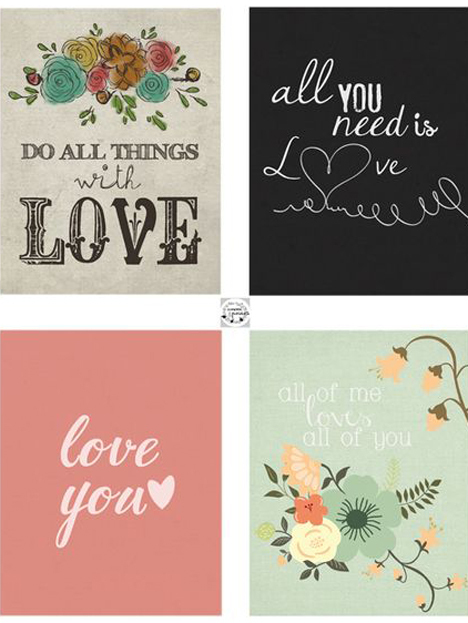 Several different free sheets are at pumpkinandposies.com. You could also turn them into Mother’s Day printable cards but writing a note on the back. 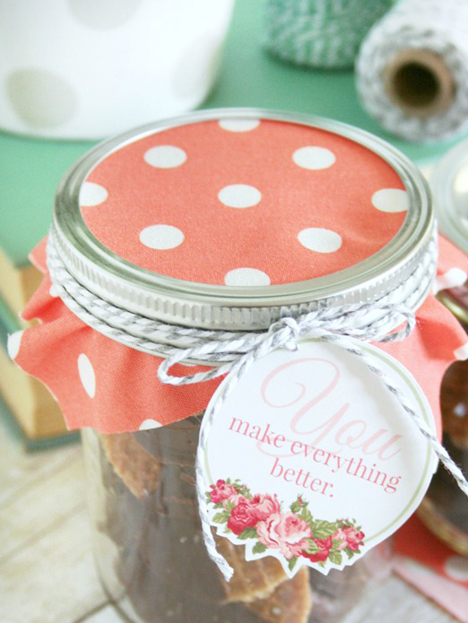 With mason jars being all the rage right now, we like these smaller gift tags (print them out here) that require just a bit of twine or ribbon wrap around the jar. What can you put in the jar? Instead of sweets, try things that fall under mom care — like perfume, nail polish, and hand-crafted soaps. Make her feel and look her best!